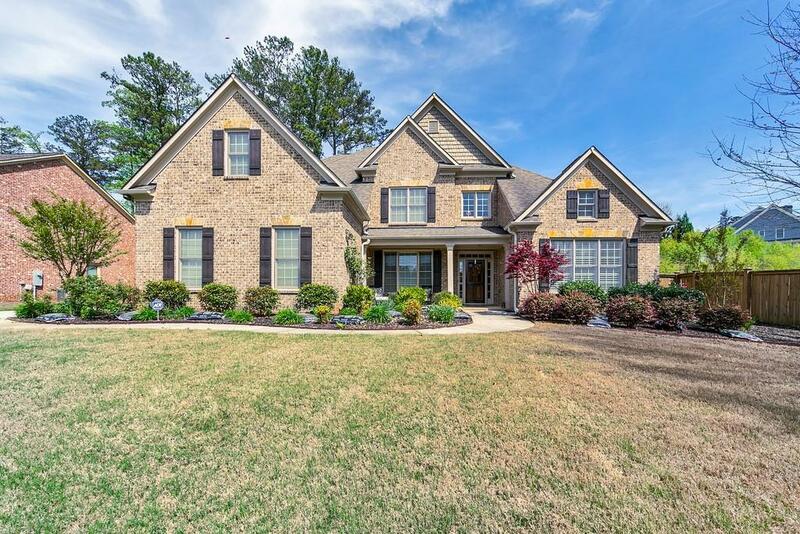 Lavish 5bd/3.5ba estate w/ new hardwoods, sky-high ceilings, grand 2-story entrance foyer & custom built-in shelving. Savor your coffee every morning on the front porch that overlooks a 22 acre pasture. Spacious Master Ste on main complete w/ his & her's WIC, new carpet & spa-like bath. Gourmet kitchen will inspire your inner chef w/ it's granite counters, center island, dbl oven & SS appl. Beautiful screened-in porch w/ stacked stone fp & vaulted ceiling sets the perfect scene for relaxation or entertaining. Large, level fenced backyard great for summertime activities! Directions: From Ga-120 Loop W Merge Onto North Marietta Pkwy NE. Right Onto Polk St Nw. Right Onto Burnt Hickory Rd Nw. Right Onto Tarpley Rd Nw. Home Will Be On The Right!